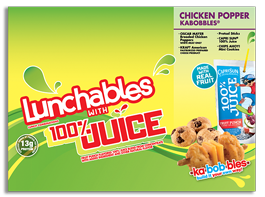 Now Lunchables with 100% Juice includes a Capri Sun® 100% Juice. 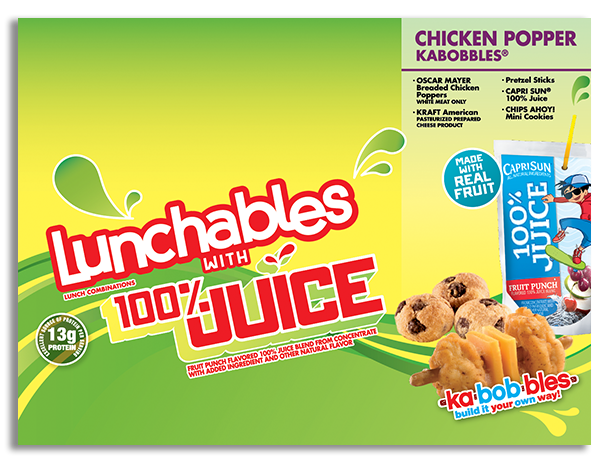 You'll love it because it is made with real fruit in every pouch and no artificial colors, flavors or preservatives. 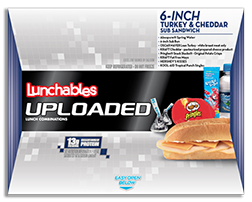 Your kids will love it because it's delicious. Sometimes it’s ok for your kids to play with their food. 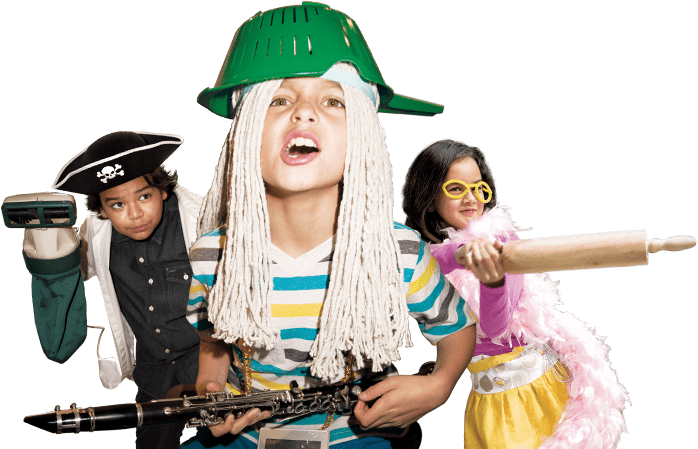 With Oscar Mayer breaded chicken poppers, Kraft American and pretzel sticks, your kids can build lunchtime their own way. 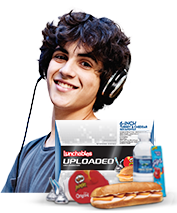 And it comes with a Capri Sun® 100% Juice and mini Chips Ahoy! cookies. Sometimes it’s ok for your kids to play with their food. They're guaranteed to gobble this right up. Oven roasted turkey breast, Kraft Cheddar and sub bun. 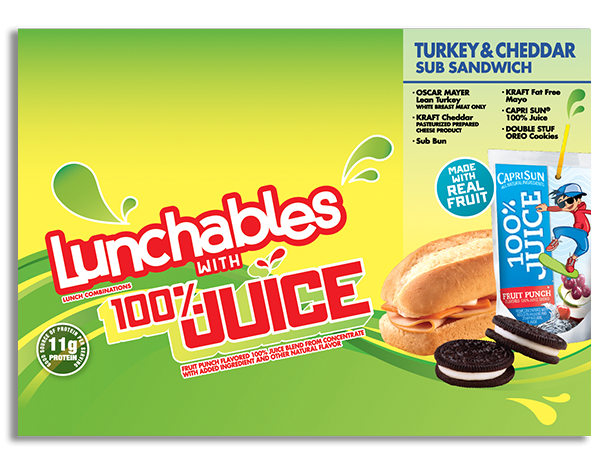 * Plus, it's packed with a Capri Sun® 100% Juice and OREO cookies. They're guaranteed to gobble this right up. Lunchtime fun is getting stacked higher and higher. 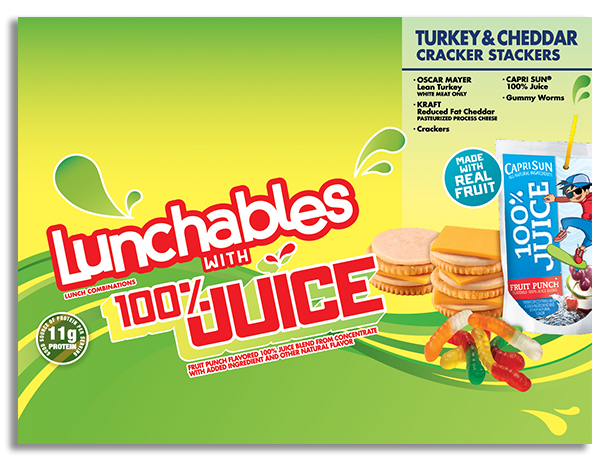 Your kids will love stacking Oscar Mayer lean all white meat turkey, Kraft reduced fat Cheddar, and delicious crackers. 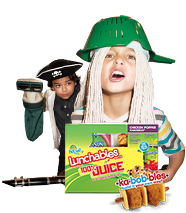 Also includes Capri Sun® 100% Juice and gummy worms for dessert! Lunchtime fun is getting stacked higher and higher.